What is the Express NOA? Express NOA is a service provided by the Canada Revenue Agency (CRA) that delivers your notice of assessment (NOA) directly into the certified tax software you used to prepare your return. With this service, you’ll be able to see your NOA in the tax software after you NETFILE your return. 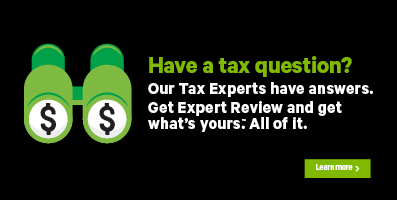 Note: In order to access the Express NOA service, you’ll need to be a user of one of our paid packages (Assistance or Protection) in H&R Block 2017 Online tax software or a user of our H&R Block 2017 Download tax software. You must be registered for the CRA My Account and signed up with their Online Mail service to request your NOA through Express NOA. If this is your first year filing a tax return, you won’t be able to use Express NOA. As mentioned, using the the Express NOA feature requires that you’re registered for My Account – something you can’t do until you’ve had at least one return assessed by the CRA. How do I see my Express NOA? On the FILE tab, click the Get Notice of Assessment button next to the return for which you want the Express NOA. On the new page that opens, click the Sign in to My Account button. You’ll be redirected to the CRA website that will let you request your NOA. Select the method you want to use to sign in to your My Account service and enter your credentials. You’ll be taken back to the tax software and will be able to see your NOA from the CRA. What is form T1013 and why do I need one? If you’ve decided to let someone prepare and submit your tax return on your behalf, the CRA requires that you authorize them to be your representative for income tax matters. You can do this in one of two ways. First, you can designate a representative by logging in to the CRA’s My Account service. Once authorized, your representative will have instant access to your information and online services so that they can easily manage your account. Remember, you have the right to view, change, or cancel your representative’s authorization at any time. The second way to authorize a representative is to complete and mail-in form T1013: Authorizing or Cancelling a Representative. If you’re having the same person prepare and submit your tax return year after year, there’s no need to complete a new form each year.